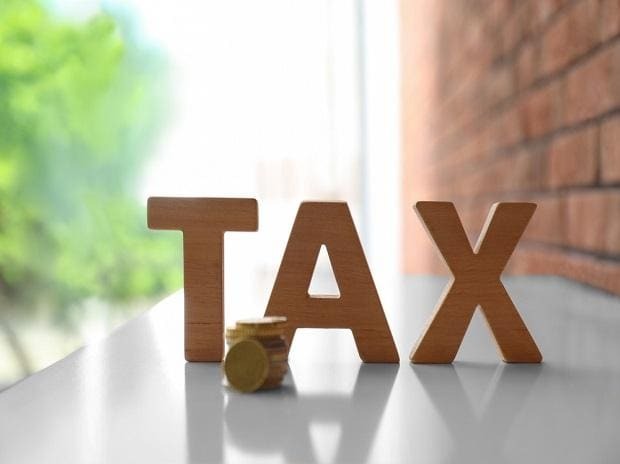 With four days remaining before the current financial year ends, the Central Board of Direct Taxes (CBDT) has sent a strongly worded letter to senior income-tax officials, warning them of an “alarming situation”. As of Tuesday, direct tax collection was Rs 10.29 trillion, which is 12.5 percent up compared to the same period a year ago. The revised Budget target for 2018-19 is Rs 12 trillion. “Progress based on the online tax accounting system (to calculate dues with interest) has been reviewed and only 85.1 per cent has been collected as of March 23,” goes the letter dated March 26 to principal chief commissioners of income tax. “The board has discussed strategies through various communications with you (I-T officials) and it was expected that by this time, your strategies would have succeeded, resulting into improved collections. However the figures of collection give a different account,” CBDT said. It has asked for urgent action, especially with respect to recovery of arrears and current demand, to achieve the collection target. “The increase of Rs 50,000 crore in the interim Budget 2019-20 has made the task of achieving the revised target difficult. However, the department has been consistently putting efforts to maximise revenues and make up for the shortfall. 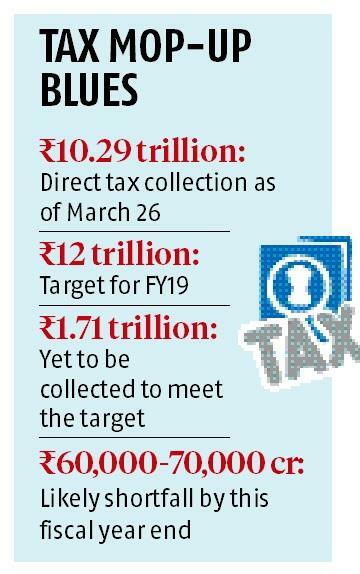 However at the current pace, the possible shortfall is Rs 50,000-60,000 crore,” said an I-T official. He estimated the collection would reach between Rs 11.3 and Rs 11.5 trillion. The department was pinning hope on advance tax collection in the fourth quarter, ending March 15. It is learnt to have requested banks to credit tax deduction at source (TDS) for the fourth quarter by March 31. As of March 11, growth in TDS was 18 per cent to Rs 4.44 trillion, while self-assessment tax rose 6.5 per cent to Rs 83,465 crore. However, the regular assessment tax (recovery from arrears and current demand) showed a 5.4 per cent fall, compared to the same period a year before.